Styled with malcom pant and boyce top . 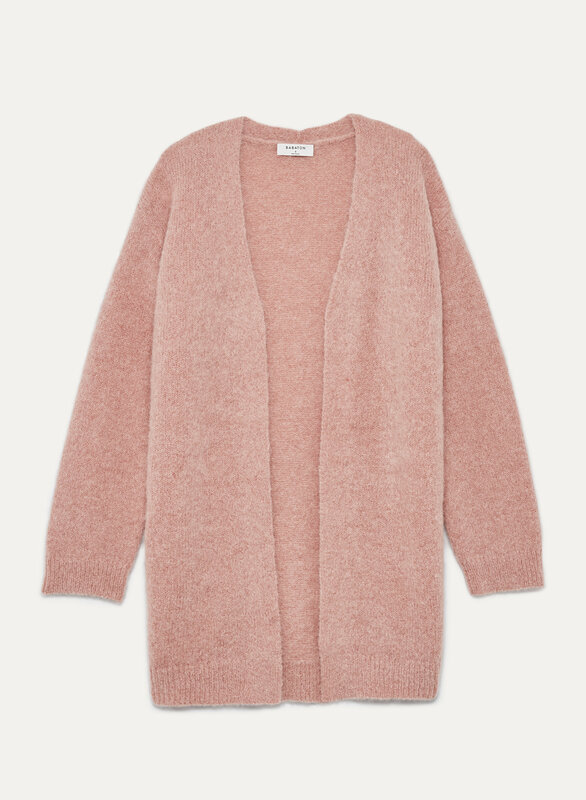 An essential cardigan for the season. 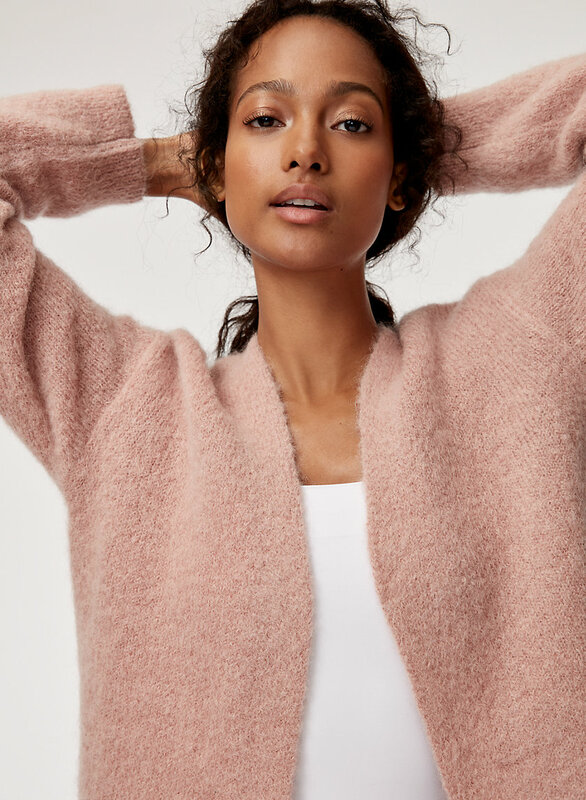 Super-soft Italian yarn lends lightweight warmth and dreamy texture, while the relaxed silhouette layers seamlessly over a turtleneck or tee. I just love this cardigan. It is the perfect color of pink and it fits really well. 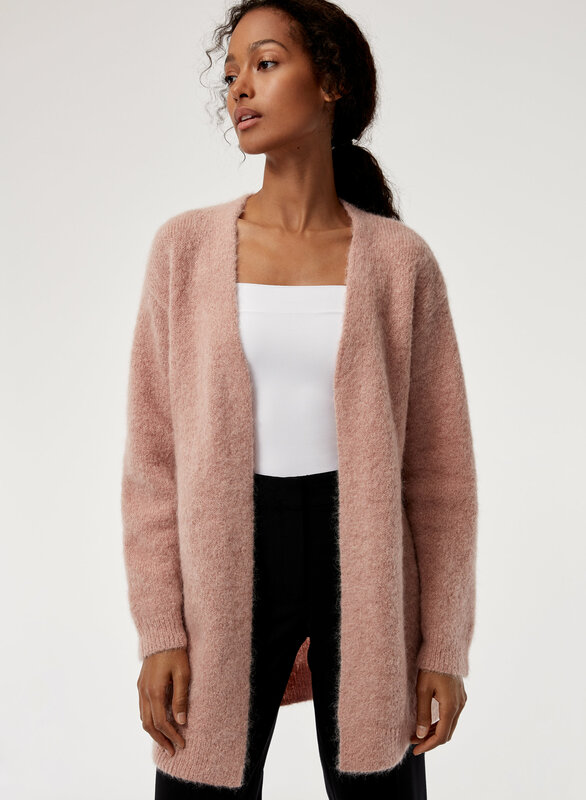 It’s so soft and cozy I just want to wear it all day! My only complaint was that it was a little pricey but it was worth every penny! I am 5’2”, 130 pounds and purchased a small. 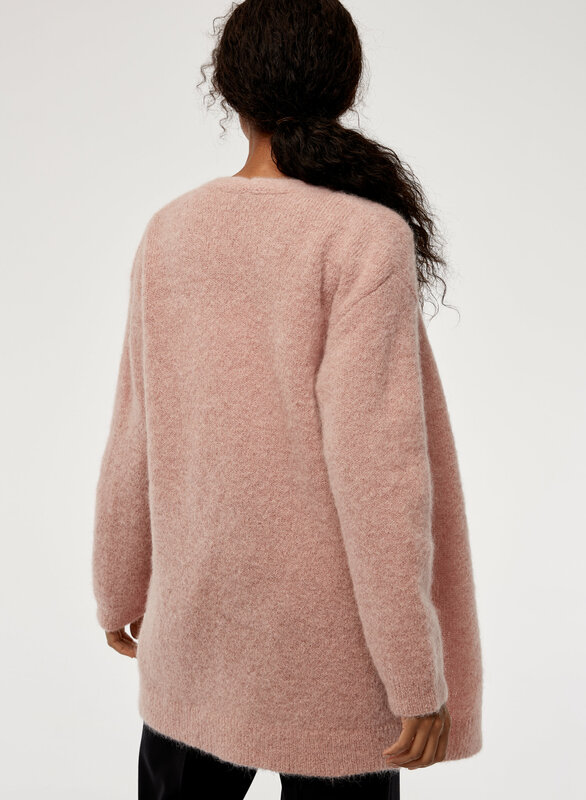 This sweater is 100% as described in the Designer's Notes. I purchased it in the stunningly beautiful dark camille colour. 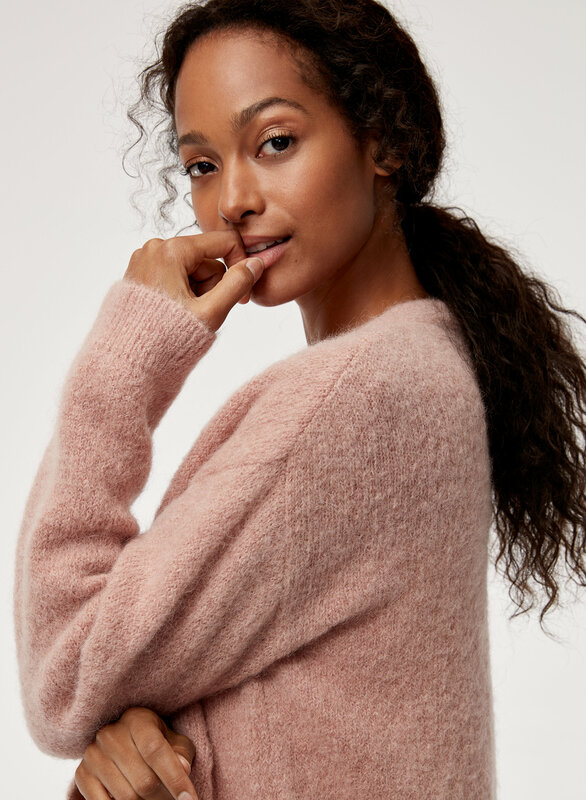 As stated, this sweater is dreamy soft yet incredibly warm for its light weight. Highly recommend.